Congrats to Liz for earning her wings in our Monterey location! 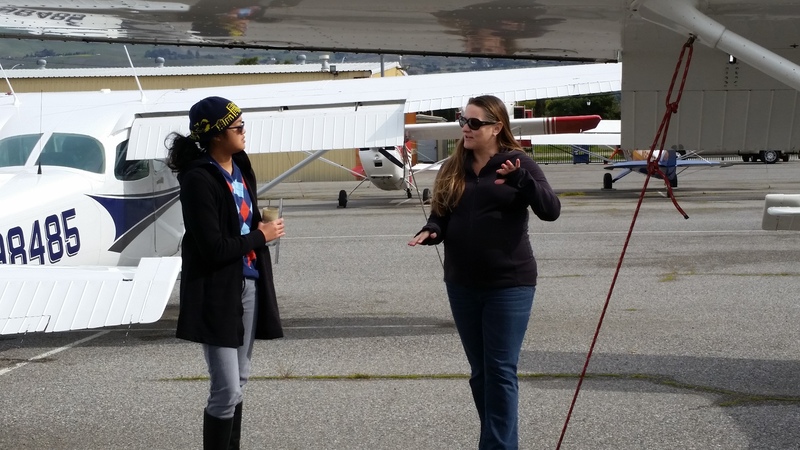 “How I got into flying: I’ve been around general aviation my entire life. 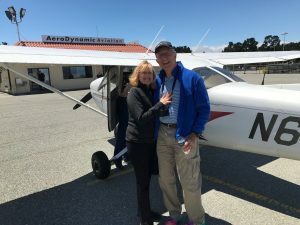 My father, who has been an active private pilot for 38 years, completed the build of his Glasair I shortly before I was born. By the time I was two weeks old, my parents flew me in the Glasair to my first airshow in Tennessee. My family and I have had countless GA adventures since then and we have attended Oshkosh Airventure together sixteen times! 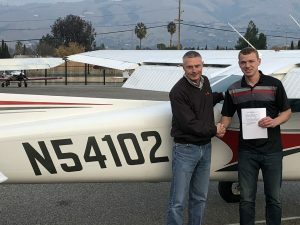 Since I finished college and have time for training, my goal has been to obtain my private pilot certification. 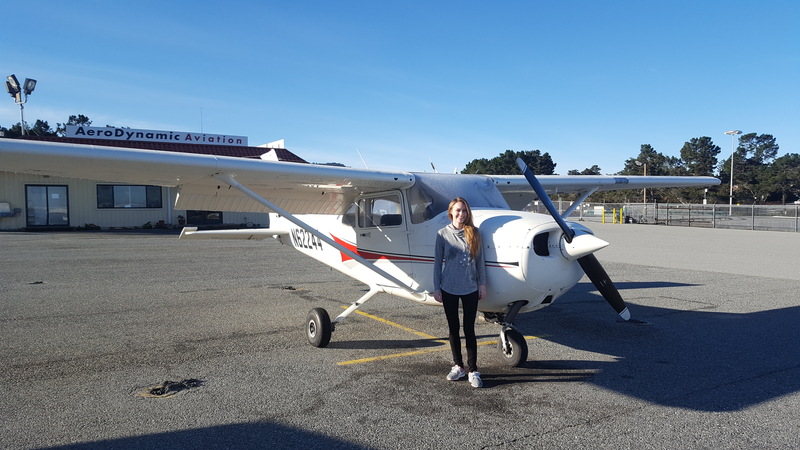 Congratulations to Katrina for being the recipient of the Bay Cities 99s 2018 scholarship for $2000. 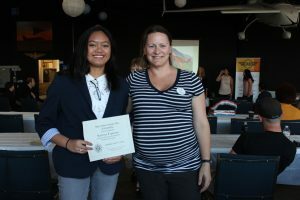 She and her instructor Lynzie, one of AeroDynamic’s CFIs, were presented the award at Oakland Aviation Museum, during a fundraiser for Women in Aviation. 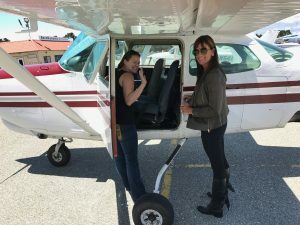 The scholarship gives hernenough money for her to complete her Private Pilot training, which will probably be done in the next few weeks. 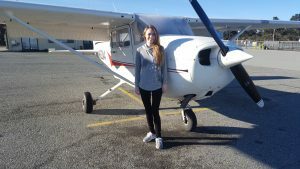 Katrina has funded all of her flying through scholarships so far. Very impressive! What a way to bring in 2018. 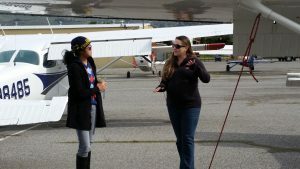 Congrats to Jess and Instructor Logan on achieving a first solo in a taildragger! “I’ve always loved aviation since I was a child, and always drawn toward the skies. So, I started flying with Logan Wright at Aerodynamic about a year ago, and it’s been nothing but a blast. I’ve loved every minute of it and it feels great to be following my passion. My plan for after I get my private, is to continue to keep getting more training and experience. 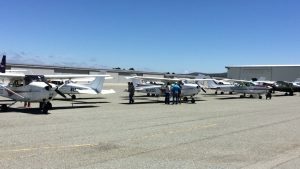 I want to go on and get my instrument and commercial, and I would love eventually be able to make flying profitable in different ways. 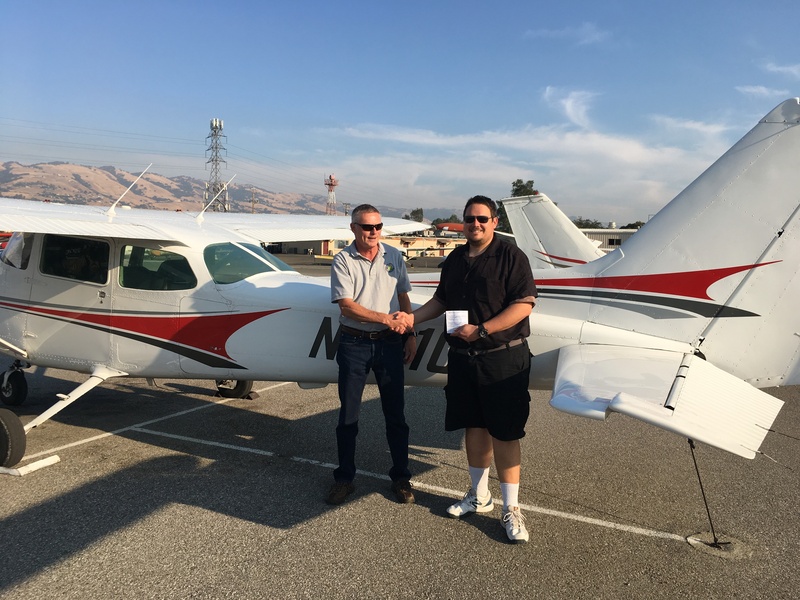 AeroDynamic’s own Taylor D. earned a first-time pass on his Private Pilot checkride! Taylor typically works in our San Jose office on Saturdays, so make sure you congratulate him on this hard-earned achievement. Next on his New Year’s Resolution list is to fly for fun on a few cross-countries. After that little break, he will continue training for his Instrument Rating. 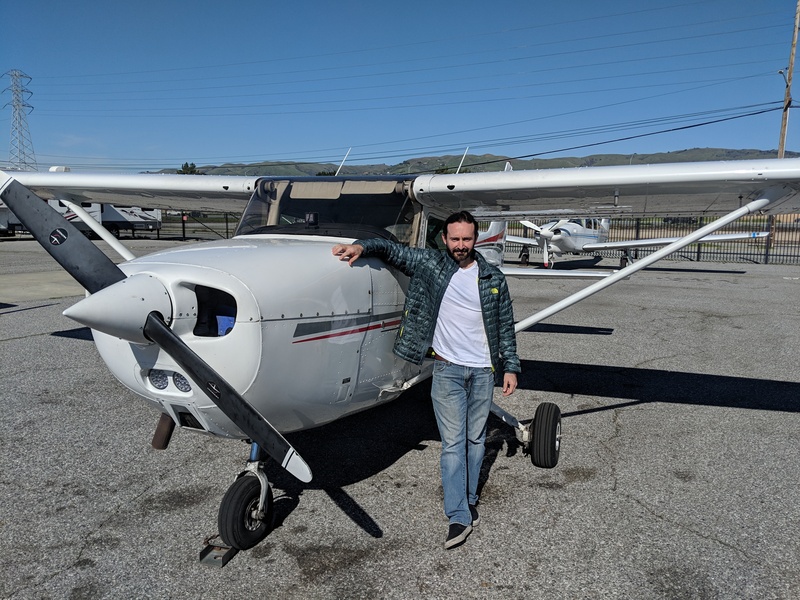 Taylor has flown with just about every instructor we have, but it was Chris Compos who encouraged him over the finish line. Well done, guys! Student pilot Trevor Orr recently showed up for his Private Pilot checkride with examiner Scott. 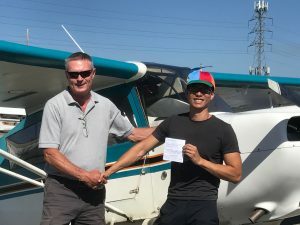 Not only did he knock it out of the park with a first-time pass, he walked out with his Private Pilot certificate and a job well done. Congrats to both him and his instructor, David. 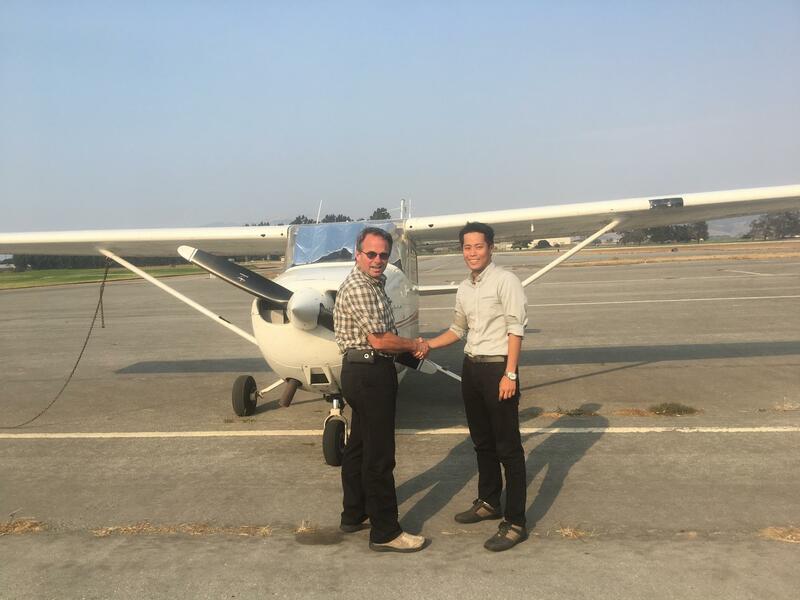 Congratulations to Xinchun “Jason” Wang on becoming a Private Pilot! 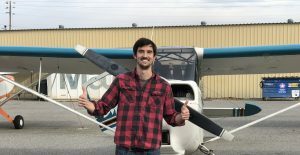 He has been working hard for this achievement and now plans to enjoy the freedom of flight. 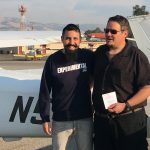 Great work to both Jason and his instructor Adam on a first time pass of his checkride. “My name is Joonwoo Cho, one of the student pilot flying in Aerodynamic Aviation. I achieved my private pilot license in 3rd of September. Thanks to my instructor Ron and aerodynamic. 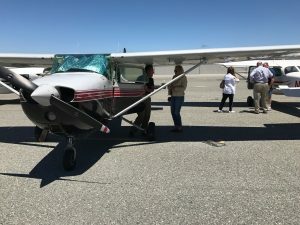 The checkride was pretty much expectable. My DPE Eric Cook is a very thorough examiner. He did not assume anything. If you are good, then you are good. If you do something bad, then you are bad. It is that simple. 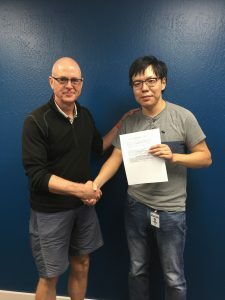 I felt if you pass the checkride with him, you can definitely be proud of yourself as a safe pilot not having any luck to pass the exam. I really think all the FAA DPE should be like him. He also always tried to make the flight circumstance comfortable as possible because he knows all the students are nervous in a checkride. 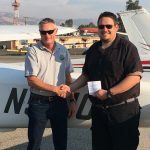 On the checkride, he was sure a ‘polite passenger with aeronautical knowledge’ I really recommend other students to use him as a well know passenger. Do not think as he is looking for something you do wrong. Use the DPE for safe flight and smooth exam. This will help students a lot. 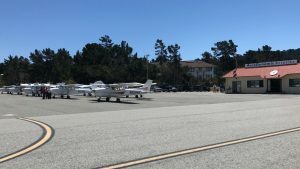 Toyota Financial Group visits Monterey! AeroDynamic Aviation sends a big “thank you” to Toyota Financial Group for an awesome introductory flight event. 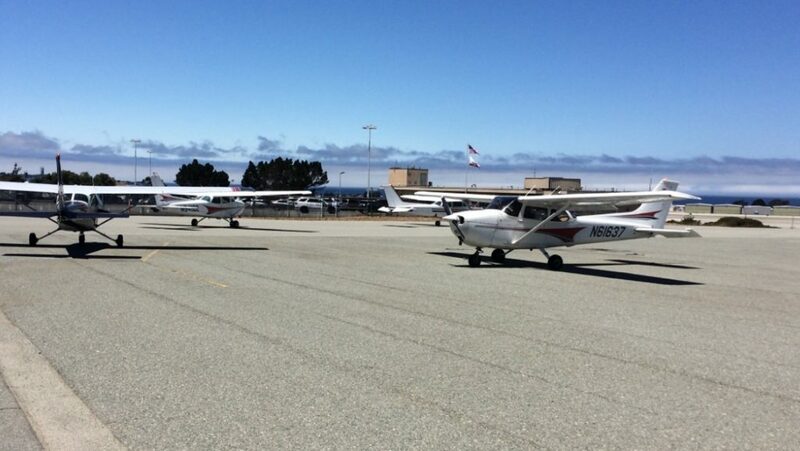 We had twelve of our airplanes and 13 of our instructors on a gorgeous blue-sky day at our Monterey location. 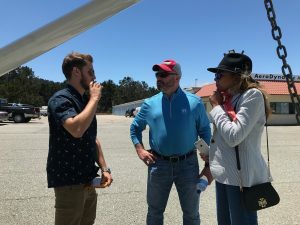 Each of the participants had a different favorite moment but all expressed their appreciation for the professional instructors that delivered an experience they will never forget. They have already booked next year, and we can not wait for the next event! 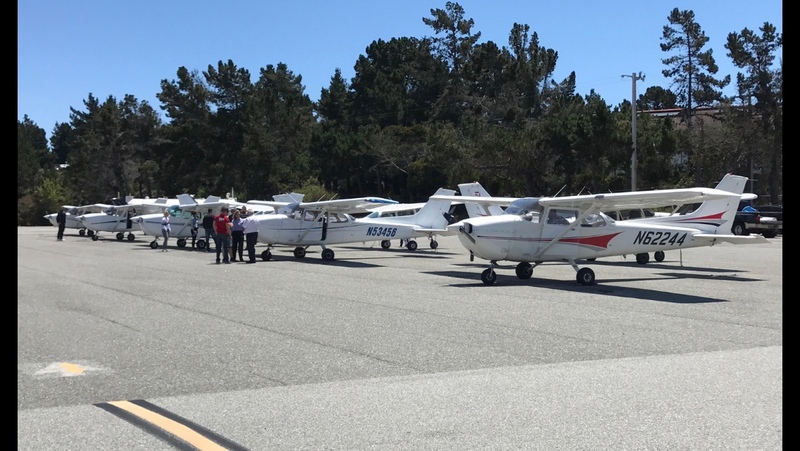 A special thanks to our flight instructors for all their hard work and adventurous spirit (Jim, Jason, David, Batelle, Lynzie, Ron, Larry, Adam, Kendall, Jamie, and Carol) and Paul Tanks for an informative one-hour ground school for our first-time student pilots, 16 in all. Way to pull together, team! 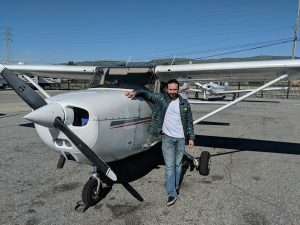 “I’ve been wanting to fly since I was a little kid, but I never took the initiative to start training because I made excuses about not having enough money, and then enough time…until last year. It’s really changed my life, and I can’t thank Batelle, David, and everyone at Aerodynamic enough. It’s a great community here.